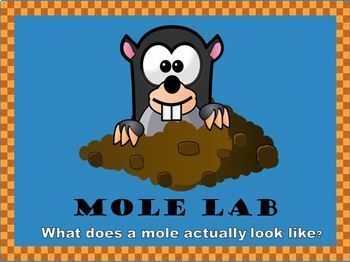 Mole Lab-What does 1 mole actually look like? 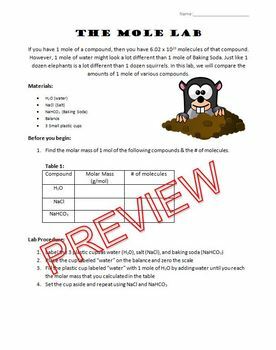 This is a lab activity where students will measure out 1 mole of three different compounds: water, salt, and baking soda. When first introduced to the mole concept, it can be difficult to imagine what a mole of a substance actually looks like. 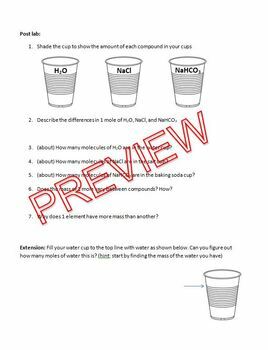 Students will see how 1 mole of water looks compared to 1 mole of salt or baking soda.